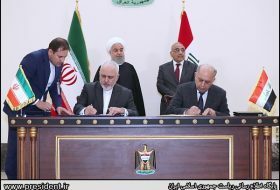 May 26, The Iran Project – US Secretary of State Mike Pompeo has recently announced that Washington is keen on reinforcing the financial pressure on Iran by imposing the “strongest sanctions in history” on the Islamic Republic if Tehran declines to alter the course of its foreign and domestic policy. Speaking weeks after the United States’ pullout from the nuclear agreement Iran signed with major powers in 2015, he laid out 12 tough conditions for any “new deal” with Tehran. 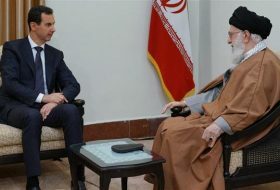 The conditions included withdrawal of Iran’s military advisors from Syria, who have been helping the country’s legitimate government in its anti-terror fight against terrorist outfits, which have been mostly aided and abetted by the US and its Western and regional allies. In a meantime, Pompeo’s remarks have sparked several reactions from high-ranking Iranian and world officials, as well. 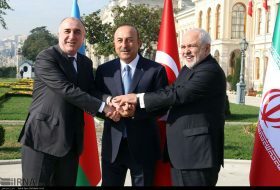 Some top Iranian and global officials including EU’s foreign policy chief Federica Mogherini, President of the US Council on Foreign Relations (CFR) Richard N. Haass, President Hassan Rouhani, former Iranian chief nuclear negotiator Hossein Mousavian as well as Foreign Minister Mohammad Javad Zarif rejected remarks by the top US diplomat. 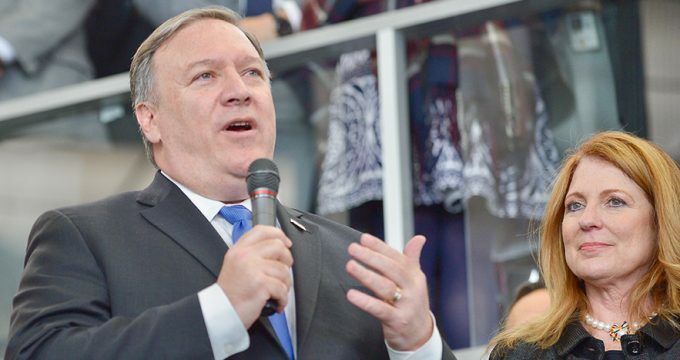 The Iranian media uniformly rejected and ridiculed the May 21 speech by Pompeo. Also the Reformist Etemad chose the headline “Pompeo’s delusions” for its front-page story. While the Donald Trump administration is promising unprecedented sanctions against Iran and trying to put pressure on Tehran, Etemad reported, America’s closest allies in Europe are busy negotiating with Iran on how to keep trade and the nuclear deal alive. 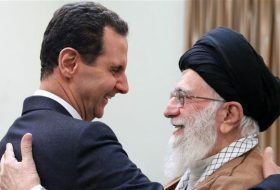 Speaking two days after Pompeo, threatened Iran with “the strongest sanctions in history”, Iran’s supreme leader Ayatollah Ali Khamenei said on Wednesday that Iran could restart the nuclear activities it halted under the agreement if Europe failed to safeguard the agreement after the US pulled out. 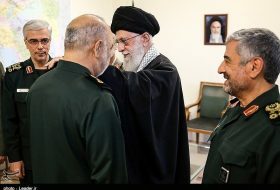 “Since the beginning of the revolution till today, the US has committed all kinds of animosity to hit the Islamic Republic … All these actions are aimed at ‘overthrowing’ the Islamic Republic,” said Ayatollah Khamenei. 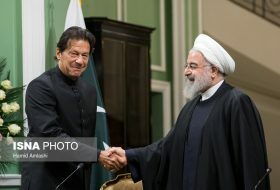 On May 23, President Rouhani said the Iranian people have passed their tests successfully over the past 40 years in safeguarding Islamic Republic, revolution, country and national interests despite all ups and downs. “What US leaders say today is not something new for the Iranian people because such remarks belong to 40 years ago,” Rouhani stated. Meanwhile, the Atomic Energy Organization of Iran (AEOI) said Tehran is totally prepared to resume its previous nuclear activities if the 2015 deal with the P5+1 group of countries is not fully preserved. “We can say that we have everything in order if we want to go back to the activities we had before,” Behrouz Kamalvandi, the spokesman for the AEOI, said. At a news conference in St Petersburg after talks with French President Emmanuel Macron, Russian President Vladimir Putin said on Thursday (Many 24) that Russia appreciated efforts by Europe to save the Iran nuclear deal despite the withdrawal of the United States and warned of “lamentable consequences” if it was not preserved. Russia’s stance on the issue is quite clear and it believes that the JCPOA must be saved, Putin said. 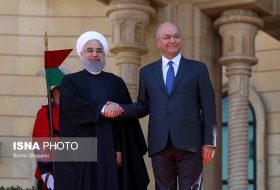 The Russian president also referred to his meeting with Director General of the International Atomic Energy Organization (IAEA) Yukiya Amano and said Amano announced in the meeting that Iran has fulfilled all its obligations under the JCPOA. French President also noted that the necessary guarantees should be given to Tehran with regards to the implementation of the JCPOA, adding that despite facing possible US sanctions, European companies are interested in preserving their cooperation with Iran. ٌWhile visiting China, German Chancellor Angela Merkel has said her country will stay in the nuclear deal with Iran following the US decision to pull out. Merkel said it would be up to Beijing to fill in the trade vacuum after the United States announced historic, tough sanctions on Tehran over its alleged violation of a 2015 nuclear deal. “As for the Iran deal, it is far from ideal but other options are even less stable,” Merkel admitted. “That is why we will continue to respect this agreement,” she told reporters in Beijing after meeting China’s Premier Li Keqiang. After meeting with Pompeo, the German Foreign Minister Heiko Maas said the US and Europe remain far away from a compromise on the future of the nuclear pact with Iran. Also, the German Foreign Office said in a tweet after the talks that its foreign minister had told Pompeo Europe remained committed to the 2015 nuclear pact with Iran, which saw it wind down nuclear activities in return for sanctions easing. It is worth mentioning that on May 24, IAEA once again has confirmed Iran’s compliance with its commitments under the 2015 nuclear deal, but has called on the country to go beyond its obligations. According to an IAEA report, Iran is observing the key restrictions under the nuclear agreement, known as the Joint Comprehensive Plan of Action (JCPOA). Many experts believe that Pompeo’s twelve demands reflect a misunderstanding of Iranian foreign policy, international law, and the realities of the region. The today world is in dire need of genuine diplomacy. 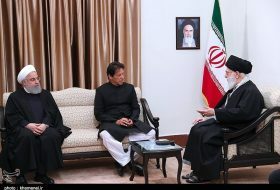 While the Iranian nuclear crisis was the only regional crisis settled through diplomacy, this model needs to be used to diplomatically settle other regional challenges. Hence the US administration should think twice regarding their recent policy toward Iran.